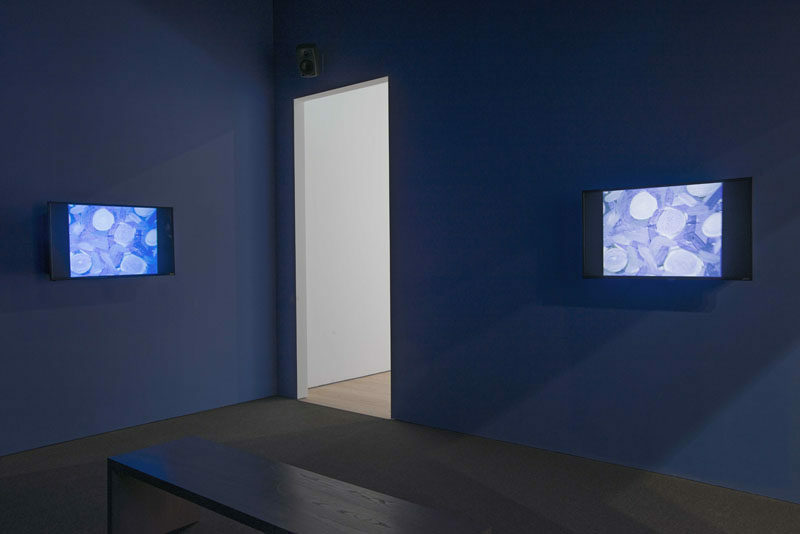 In the Whitney Museum of American Art’s 2017 Biennial show, on view in New York through June 11, there is a small blue room. Inside are three small screens and one large one. Five short jazz tracks play—tantalizing anecdotes that touch on everything from postbop to Brazilian music—while the screens show video of paintings. The romantic piece “Knowledge” is accompanied by red and green squares with letters in them; the warm “Desire” is accented by what look like yellow chain-links. A sixth song, the lengthy “Truth,” is matched with a painting and a short film directed by AG Rojas. While strong but sentimental jazz takes hold of the room, and themes heard in the earlier pieces return, museumgoers view scenes of a person with lit candles in their mouth; a mother and son cuddling; palm trees in the night; and two boys practicing wrestling moves while surrounded by flowers. The room fills up during those 13 and a half minutes, and achieves full emotional tilt. 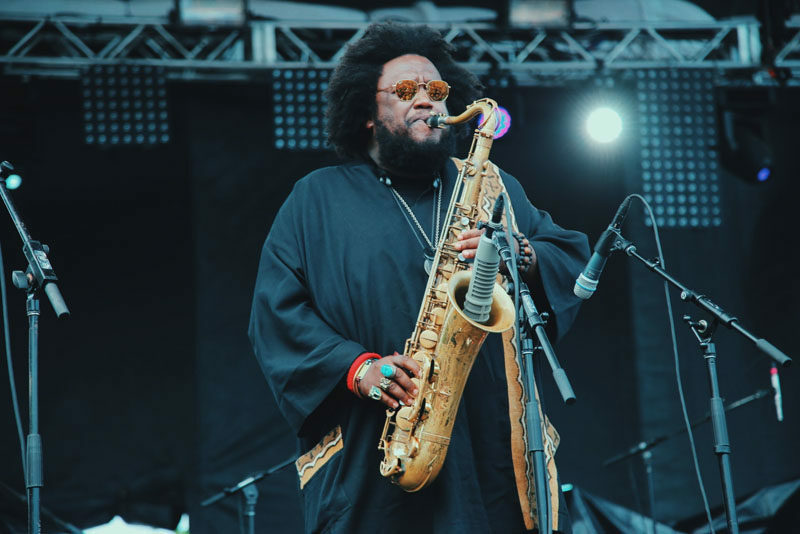 Collectively, the music and videos make up a project called Harmony of Difference, by the tenor saxophonist and composer Kamasi Washington. Harmony of Difference will also act as Washington’s first new release since The Epic’s breakthrough. An EP comprising the music from the installation will be out Sept. 29 on the British label Young Turks, whose roster includes arty R&B stars like FKA Twigs and Sampha. “Even though we make music that would definitely be put in different categories, the ideas and spirit and the vibe is very much compatible,” Washington says of his new labelmates. “So it feels great, and it pushes me into a different space.” An argument could be made that, with a museum show and backing from Young Turks, Washington, 36, is drifting even further away from his foundation. But anyone making that point has not listened to Harmony of Difference. It’s a jazz record through and through, without a single compromised note to be found. The harder Washington sticks to his guns, it seems, the smoother he lands in the consciousness at large. It’s been a big couple of years since The Epic. Have you had a break from the road since then? It’s the busiest two years I’ve ever had in my life. [laughs] Even when I’ve had breaks, I’ve been working on new music. So when I had breaks, it’s not really a break. I’ve been recording and writing, working on different projects, stuff like that. I don’t feel like I’ve had a break since The Epic came out. [laughs] Just being honest with you. Only break I had was when I broke my ankle [in late 2015]. [laughs] I was laid up. That didn’t feel like much of a break either. 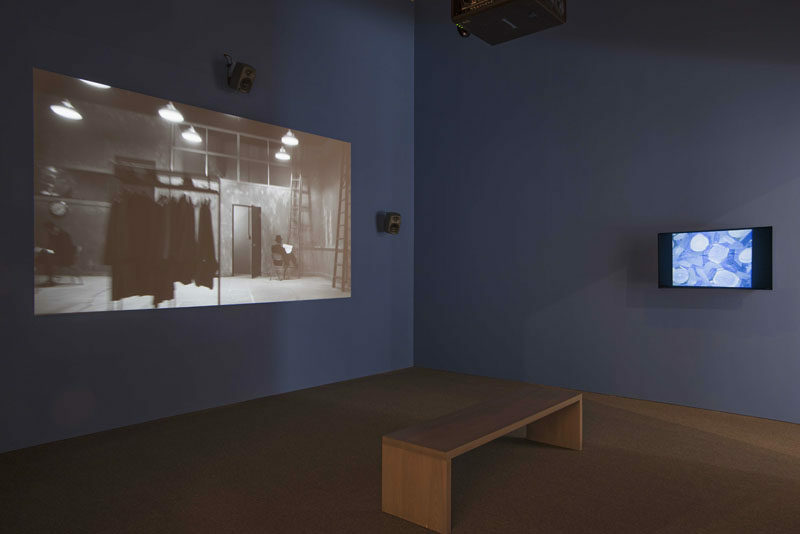 How did the Whitney installation come about? [Biennial co-curator] Christopher Lew came to our show in New York for Winter Jazzfest [last year], and that’s where we met. And then a month later, he came out to L.A. and we talked about me doing something for the Whitney Museum. From there it was just about me kind of figuring out what I would wanna do—he really left it wide open for me. We talked about doing a live show, talked about doing a lot of different things. I was kinda going in my head over what I would want to do. I just kept going back and forth, and then that was right around the time that it started to become a sad reality that Trump might become nominated. [laughs] And then he got nominated. It just felt like the world was in this fork in the road—had me in this fork as well. It felt like there was this annoying elephant in the room. And then it started to really get to me, all the talk in the media. The idea of diversity just became such a negative thing. There was no celebration of it. It was all just like, “How big of a problem is it?” [laughs] And I always looked at it as the reverse. Like, it’s not a problem at all. It’s not a big problem or a small problem. It’s a beautiful thing, all the different people that are here and the people that want to come here. That idea is what made this country what it is—this idea of people from different places coming together. No one was really talking about that. So I was trying to think of a way to [convey] that. I started thinking about counterpoint: It’s like taking different melodies that have tensions and releases and figuring out the balance of their singularity and identities. Counterpoint is usually derived from a single melody, and then you have countermelodies that go with it. So I wanted to do something that had a bit more equality to it. I wanted to make it five songs, five real melodies, or their own standalone melodies, and have them intermingle and see how much harmony I can make out of it—how pretty I could make five melodies playing together at the same time. So it became a challenge, ’cause it’s difficult. The natural thing that happens is they start to clash [with] each other. It was a fun challenge to make it sound great. Can you talk about the idea behind the “Truth” video? The whole project is the video and then my sister [Amani Washington] did a series of paintings. So the music and the paintings are an abstract metaphor for something that I wanted the video to bring to reality—to show [the beauty you’d experience] if you were able to have a zoom-out view of [Los Angeles, a big city that’s] very representative of the spirit of the United States. If you were to zoom out and be able to see these different people experiencing these different things simultaneously, how would it feel? It felt exactly like the way I thought it would. It feels beautiful. It feels warm. It feels the way it feels to live in the city: Walk past one house, and [take in the] smells and the sounds and the sights, and then you walk past another house and it’s a whole ’nother set. So that whole idea of zooming out and having this view of the people and their different ways. I wasn’t hesitant in that sense. I wanted to make something that fit, that made sense to be included. I didn’t want to just do anything and have it in there. I wanted to have a purpose. So I wasn’t hesitant to do something, but I was mindful of what I was going to do. 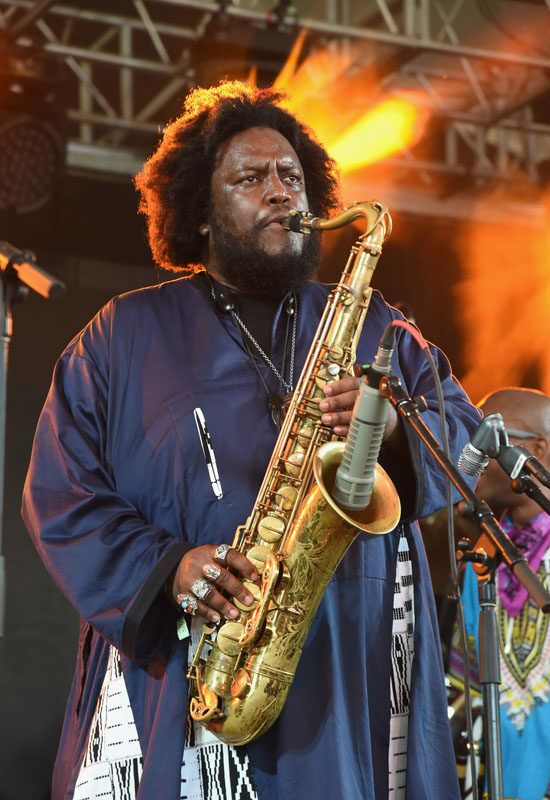 How does it feel being a jazz artist at festivals like Bonnaroo and Coachella? It feels cool. It feels like you’re breaking new ground. The way people are looking at you, you can see that they don’t have a preconceived notion as to what they think of you. And then you can see them going on a journey with you, where [they’re] like, “Oh, OK, this is a bit foreign to me. Oh, I like it.” It’s like we gel together at a certain point. It’s a fun process to have. It feels kind of exhilarating, because you feel like you’re a fish out of water but you have to still swim on the ground or something, you know? [laughs] It’s great. Some of our most fun and amazing shows have been at places where we were definitely the only jazz artists on the bill. But it was a challenge. 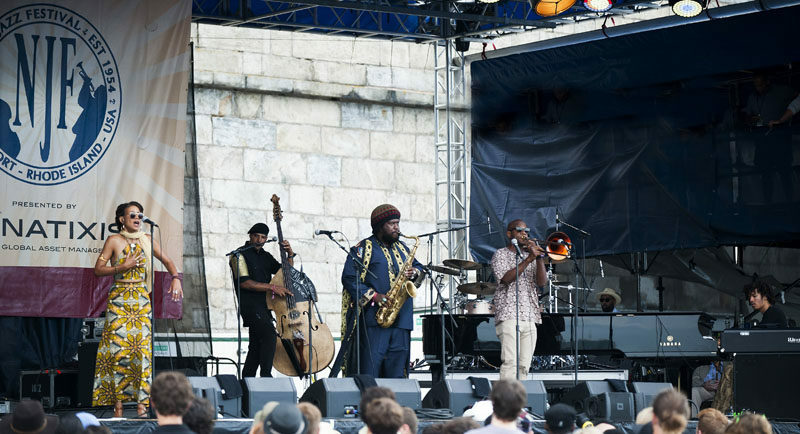 We took it as a moment to bring the music to somewhere it doesn’t get to go always, and to dispel that idea that jazz can only exist for a certain group of people. It doesn’t. It’s a very universal music. It’s a very universal idea—that sense of personal expression and creating in the moment. Those are very universal ideas I think most people can appreciate. As you bring the music to these different places, you can see that, and see people vibe to that energy. Early on You worked with big names like Kendrick Lamar and Snoop Dogg. Have they reached out since the success of The Epic? Yeah. I’ve seen Snoop a couple of times, and he definitely gave me so much love—congratulated me and so on. I worked with Kendrick on this album that’s coming out in a couple of hours [DAMN. ], and he definitely gave me a lot of love. They both definitely reached out. A lot of people that I’ve worked with, like Stanley Clarke and Harvey Mason, Chaka Khan, Raphael Saadiq—most of the people I’ve worked with, actually, have reached out and really showed me a lot of love. They appreciate the fact that I’ve been able to get out there on my own. Man, there’s lots of people [laughs]. In South Africa I met Laura Mvula. That would be dope. Her show was amazing. People like D’Angelo, Herbie [Hancock], Wayne Shorter. My wish list is long. There’s definitely a lot of people I would love to make music with. Brian Blade, or Kenny Garrett. It was really great working with the Metropole Orkest; I’d love to work with them again, do something more extensive. Who are some of the artists you’ve enjoyed seeing live during the past couple of years? When we were in South Africa, we saw this artist named Moreira Chonguica. I’m staring at my stack of CDs that I got over here [laughs]. He’s a saxophone player [from Mozambique]. Amazing. He was great live, too. Vince Staples was really amazing live. We saw him a couple of times, and if he’s somewhere we always make sure to go see him. Ibeyi, they were really, really dope live. Anderson .Paak was always amazing live. Doing the circuits, you look at the lineup and you see certain people and you’re like, “Oh yeah, I gotta see him.” [laughs] Snarky Puppy was really cool live. Ran into Christian Scott a couple of times, and he’s amazing live. His band is always really dope, always has interesting young players with him. We’ve seen quite a bit on the road this year. How have you grown as a musician over the past two years? And as a composer? The biggest growth has been my comfort with who I am musically. Most musicians struggle with identity issues [laughs]. You know, just understanding who you are and what your music is, and being comfortable with who you are. Because inherently you end up studying so much music and you end up being a fan—I’m a fan of such a wide, vast range of music. But despite loving all these other people’s music, you have to realize that all you can really make is your own music. You can love Miles Davis as much as you want, but you can’t make Miles Davis’ music. 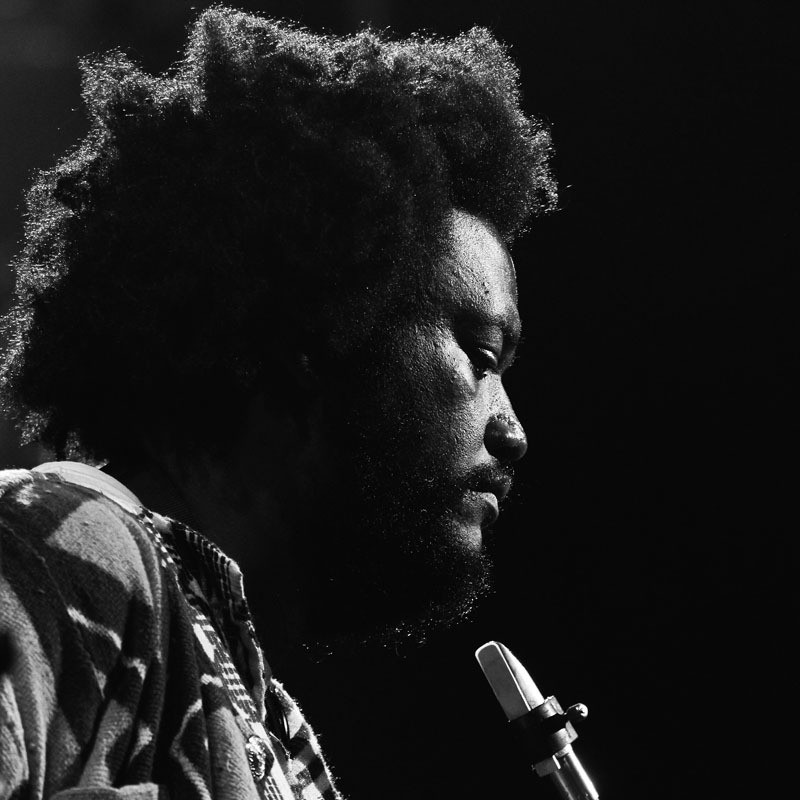 Only Miles Davis can make his music, and you have to try to make your own music. Members of your band, like pianist Cameron Graves and bassist Miles Mosley, are releasing music now as leaders. Do you feel like a proud father? [laughs] More like a brother. It’s more like your brother is going out there on his own, and I’m really proud of them and happy for them. Miles [Mosley] just did his own tour in Europe; it was great. Cameron had an amazing album release show—Stanley Clarke sat in. [Drummer] Ronald Bruner Jr.’s album Triumph is amazing, and he had a great release show and is planning all his own tours. [Keyboardist] Brandon Coleman is mixing his album now. It’s music that I believe in as much as I believe in my own music. It’s a brotherhood. We taught each other, basically. They taught me. They learned from me and I’ve learned from them. There’s a sense of ownership we have of each other. It’s joyful. You’ve made it into the mainstream like few other jazz musicians today. How do you explain the jump? Well, I think it’s a couple things. One, I think that people, they’re taking more personal responsibility for the music that they listen to, because information is so accessible. People’s typical approach to music is they hear about something, they go listen to it and then they make their decision as to how they feel about it. And I think most people listen to music across genres as well. So it used to be that people were more, you know, if you’re punk rock, you listen to punk rock—you don’t go switch over and listen to some world music. If you’re into world music, you listen to world music. If you’re into jazz, you listen to jazz. But now most people have a pretty wide range of music they listen to. They’re almost more open. So I feel, when my music came out, it in itself is a wide range of music. There’s a lot of different styles of music that are embedded into what we’re doing. So I think that it just fit where people are right now: They’re curious and they want to hear different music from different places and different styles. And then I can’t really explain why, how. It’s hard to say why someone likes something. People just do or they don’t. I think part of it is I’ve also played with a lot of different people. My musical background is very diverse. My net is kinda wide. Where I come from and what I do, my roots, it comes from a lot of different places, and I think that that just lends itself to a wide audience.